Predictions of marine biogeochemistry are of importance for a range of applications, from operational forecasting of harmful algal blooms, to seasonal prediction of primary production, to understanding the influence of the marine carbon cycle on future climate change. Reanalyses, which include data assimilation in model hindcasts, are also required for the assessment of long-term environmental change. 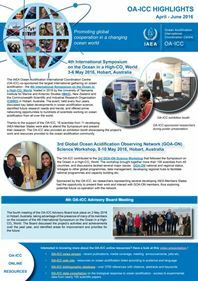 The inclusion of marine biogeochemistry in ocean forecasting and reanalysis systems is still in its early stages, but is already providing valuable insights. 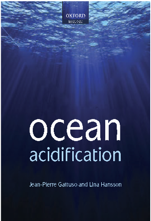 This chapter begins by giving an overview of biogeochemical modelling and data assimilation, and discussing challenges around physical-biogeochemical coupling and the use of observations. A summary of current applications to operational forecasting, reanalysis and climate studies is then given, before a vision is presented for a fully integrated prediction framework, linking five-day regional forecasting to global climate research. Ford D., Kay S., McEwan R., Totterdell I. & Gehlen M., 2018. Marine biogeochemical modelling and data assimilation for operational forecasting, reanalysis, and climate research. In: Chassignet E., Pascual A., Tintoré J. Verron J. (Eds. ), New Frontiers in Operational Oceanography, pp 625-652. Florida State University. Chapter.